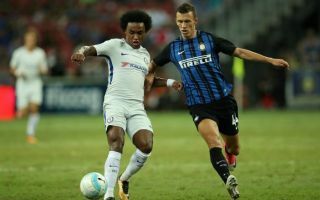 Manchester United may have been given a significant transfer boost if they remain interested in signing Inter Milan winger Ivan Perisic. It’s been suggested that the Red Devils could finally snap up the Croatia international as Inter have dropped their asking price for the player from £50million to just £30m – a cut of 40%. This news comes via Tuttosport, as translated by the Daily Mirror, and could be encouraging for United if they’re on the hunt for cheap options to bolster their attack this January. The report notes that Inter are now keen to offload players to fund other moves, so this seemingly gives United a big opportunity to finally land Perisic. Although the 29-year-old has not been linked as strongly with a move to Old Trafford in recent times, he was still talked up as a target for their former manager Jose Mourinho just over a month ago by Calciomercato. There’s no doubt that with players like Alexis Sanchez, Anthony Martial and Marcus Rashford struggling due to not being natural wingers, Perisic could still be an upgrade and have an important role to play in Ole Gunnar Solskjaer’s squad.